Note: Image is for reference only, actual cover will vary depending on your bike's make and model. This protector installs over the OEM engine cover. 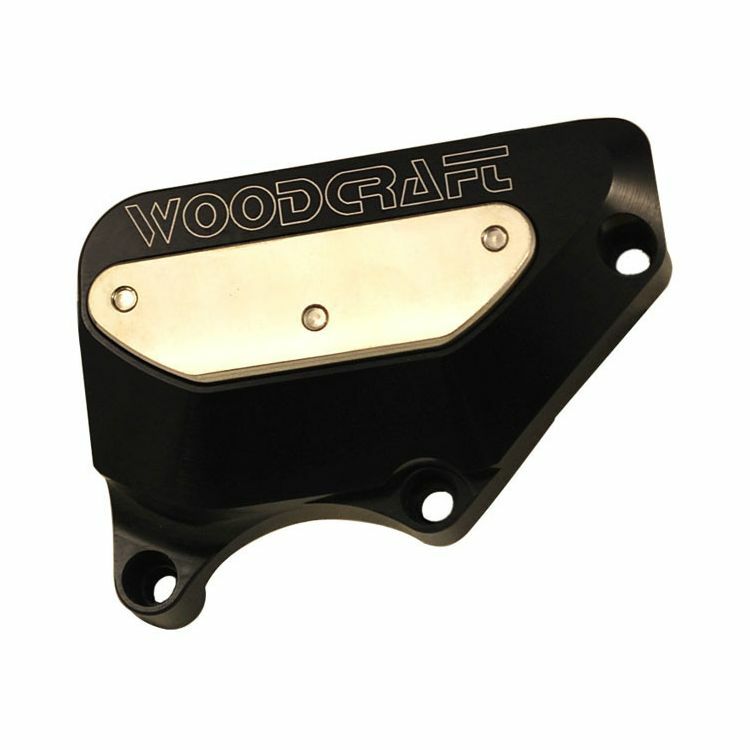 Woodcraft Cover is black with the option of a colored skid pad.